practicable in every season. Water can be fetched along the route. the torrent, we then see a ditch on the right and in the middle of an open space, a beautiful yew majestically stands. To go back to the itinerary, we go up the ditch, and then we turn left when we get to the road. 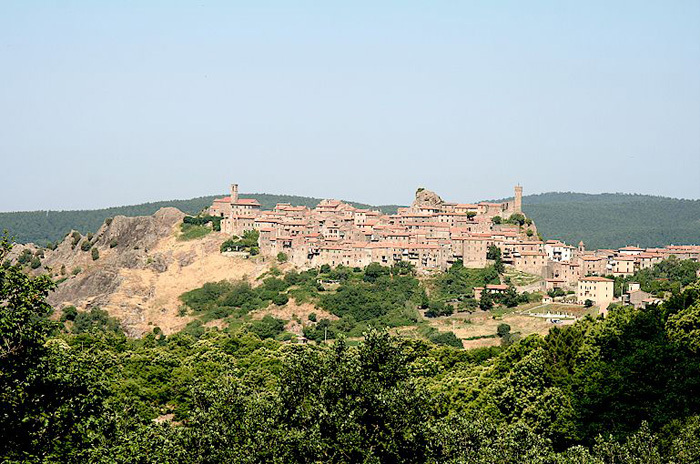 Walking to the right we pass "Poggio ai Tuoni" and under a high voltage trellis. We walk through a wood of chestnut trees as far as a carriage way and from there to a gravel stone road, which is a short cut to Sassofortino (2 km). 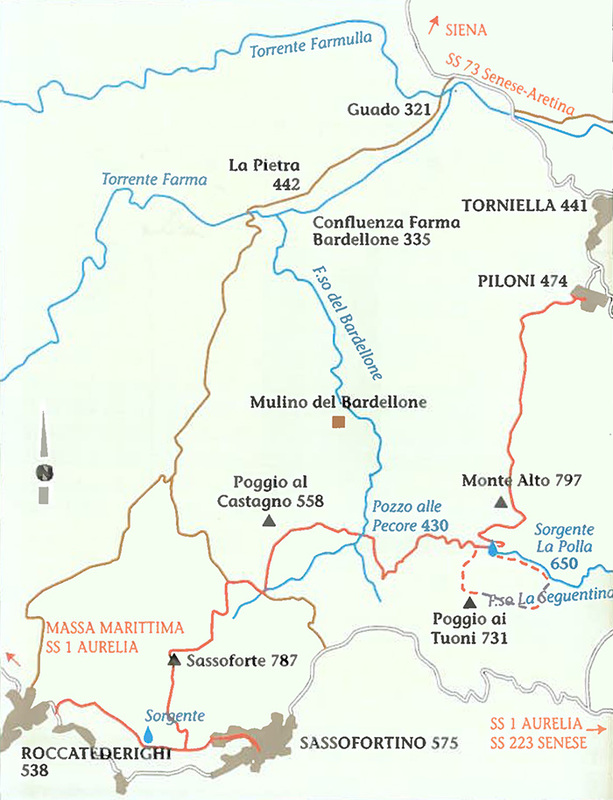 However, if we follow the trail, we get to the Bardellone torrent and then to the "Pozzo alle Pecore" pond: we are on the itinerary no 5, Regoni - Sassofortino.